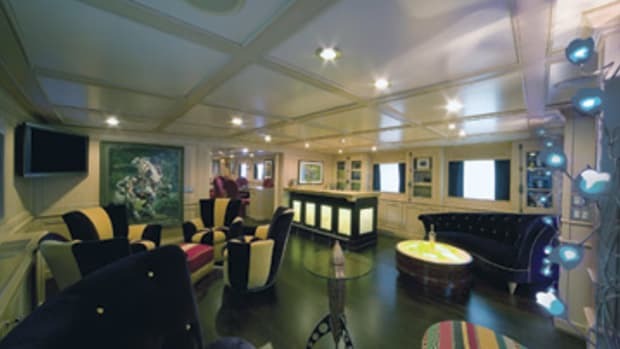 Here’s the second of three yachts on our list that are owned by Russian billionaire Roman Abramovich (see Pelorus and Ecstasea). Or does he still own her? 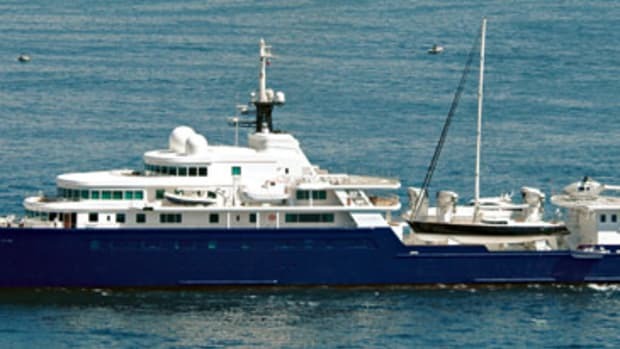 Rumor-mill reports had Abramovich “giving” this expedition yacht to Eugene Shvidler, his business lieutenant, a few months ago, apparently to free himself up for the delivery of another 300-foot-plus yacht within the next year. Regardless, the yacht continues to be photographed wherever she goes, and her “toys,” including a sailboat, attract plenty of attention.